Compliance mechanisms or the directions framing these mechanisms may not always be taken in a positive way; however, non-banking finance companies (NBFCs), need to rise to the demands of situations. There have been several directions needing NBFCs to show compliance. Although the directions are very focused in nature and do impose several compliance requirements, they allow the NBFCs to perform their core activities with more efficiency, thus aiding its growth. Whether fixed or variable; compliance is a safer option for NBFCs especially because of their burgeoning popularity in the Indian context. The Directions have been issued to ensure that there exists no possibility of discrepancy or fallibility that could affect the customer as well as the NBFC in an adverse manner. The Directions have been framed in a manner to assure safety to the operations of the NBFC and isolating it from any of the aforesaid risks. 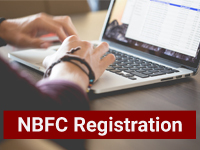 The Directions shall be applicable for all NBFCs. 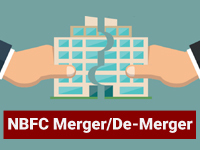 The directions shall apply to all ‘Material Outsourcing Agreements’ undertaken by these NBFCs. Para 3 of the Directions state a set of criteria for materiality of the outsourced activity. Based upon those criteria the NBFC shall determine those outsourcing agreements that are material and accordingly comply with these Directions in respect of such agreements. The NBFCs are required to carry out a self-assessment of the existing outsourcing agreements and consequently ensure that these agreements are in line with the Directions. A Board approved Outsourcing policy needs to be put in place specifying the various conditions for outsourcing. The Board of Directors and the Senior Management shall bear the ultimate responsibility for the activities carried out by the service provider. NBFCs have been prohibited from outsourcing of several activities. The restrictions ensure that the principal activity of the company is not shared with any third party and in no manner compromised. However, for NBFCs in a group/ conglomerate, these functions may be outsourced within the group subject to certain compliances, which include a Board approved policy. The NBFC must be at all times being aware of the quality of service that its customers are being provided by the service provider. A management structure must be set up in order to supervise and control the activities outsourced by the NBFC. In order to keep the data up-to-date, regular audits, either by the internal audit or the external auditors, must be conducted. Yearly review of the financial and operational condition of the service provider must be carried out. Finally, the audit committee must also conduct an ageing analysis of the transactions with outsourced vendors and must also monitor the robust system of internal auditors of all outsourced activities. 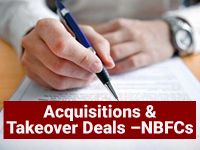 An NBFC intending to outsource any of its financial activities shall put in place a comprehensive Board approved outsourcing policy. Additionally, NBFCs shall put in place a board approved Code of conduct for DSA/ DMA/ Recovery Agents and obtain their undertaking to abide by the code. NBFCs shall also constitute Grievance Redressal Machinery as contained in RBI’s circular on Grievance Redressal Mechanism. The RBI notification stated that for the purpose of enabling it to promote conducive credit culture among the NBFCs and to regulate the credit system of the country to its advantage, it is necessary to provide for a system of ombudsman for redressal of complaints against deficiency in services, and for the NBFCs to work on compliance with the provisions of the Ombudsman Scheme for NBFCs, 2018.